Ross Fisher quickly slipped down the leaderboard after posting an ugly quintuple-bogey at the Nedbank Golf Challenge. 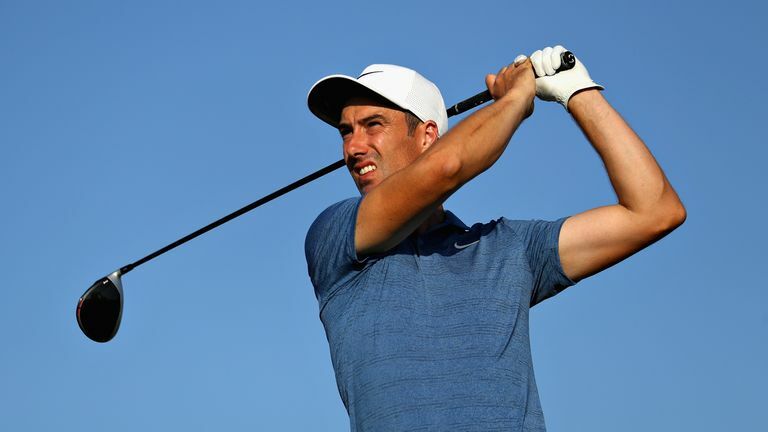 Ross Fisher was reminded how cruel the game of golf can be after a nightmare finish to his second round at the Nedbank Golf Challenge. The Englishman was seven shots off the pace after the opening day but briefly got within two of leader Sergio Garcia after getting to eight under through 14 holes of his second round. Things quickly unravelled for Fisher at the par-four 15th, where he pulled his tee shot left into the trees and was forced to take a drop with his ball embedded in the bushes. Fisher attempted to clear the trees with his third shot and was forced to take another drop after getting into further bother, before pitching out with his next shot - his sixth effort. After finding the green with his seventh effort, Fisher then took two attempts from 10 feet to card an ugly quintuple-bogey nine. If that wasn't bad enough for Fisher, the 37-year-old then bogeyed his last three holes to close a level-par 72 and slip nine strokes adrift. Click on the video above to see Fisher's horror hole!